Suddenly and unexpectedly, my beloved Buddy was unable to stand, let alone walk. According to the vet, it's a disk issue in Buddy's back, which explains the paralysis. I fear that trying to carry around my 60-pound pooch is going to break my back as well as my bank account. 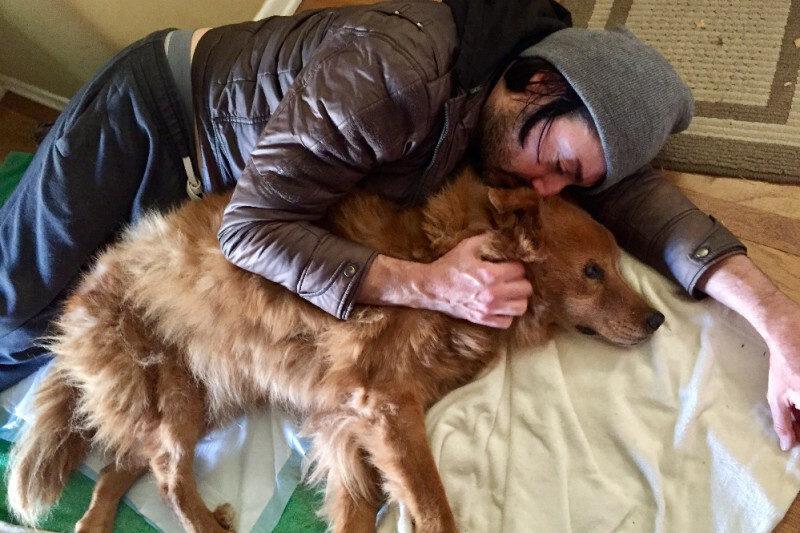 But with frequent vet visits for therapies such as acupuncture and cold laser treatments, there is a chance that Buddy might be able to walk again. If we are not blessed with a miracle, however, then his increasingly mounting medical bills will inevitably include euthanasia and cremation fees. Thank you in advance for any amount that you are able to donate, but I am most grateful for your prayers. Wishing Buddy a speedy recovery. Hang in there, JPH.